A bridge between traditional and modern design, and part of the Wyndham Collection Designer Series by Christopher Grubb, the Premiere Double Vanity is at home in almost every bathroom decor, blending the simple lines of modern design like vessel sinks and brushed chrome hardware with transitional elements like shaker doors, resulting in a timeless piece of bathroom furniture. Constructed of environmentally friendly, zero emissions solid Oak hardwood, engineered to prevent warping and last a lifetime. Highly water-resistant low V.O.C. Finish. Cutting edge, unique transitional styling by Interior Designer Christopher Grubb. Fully extending bottom-mount drawer slides. Soft-close concealed door hinges. Single-hole faucet mount. Plenty of storage space. Brushed Steel leg accents. Includes choice of natural stone counter and backsplash. Includes choice of porcelain or optional granite vessel sinks. Includes matching mirror. Metal hardware with brushed chrome finish. Faucets not included.2 doors, 6 drawers. 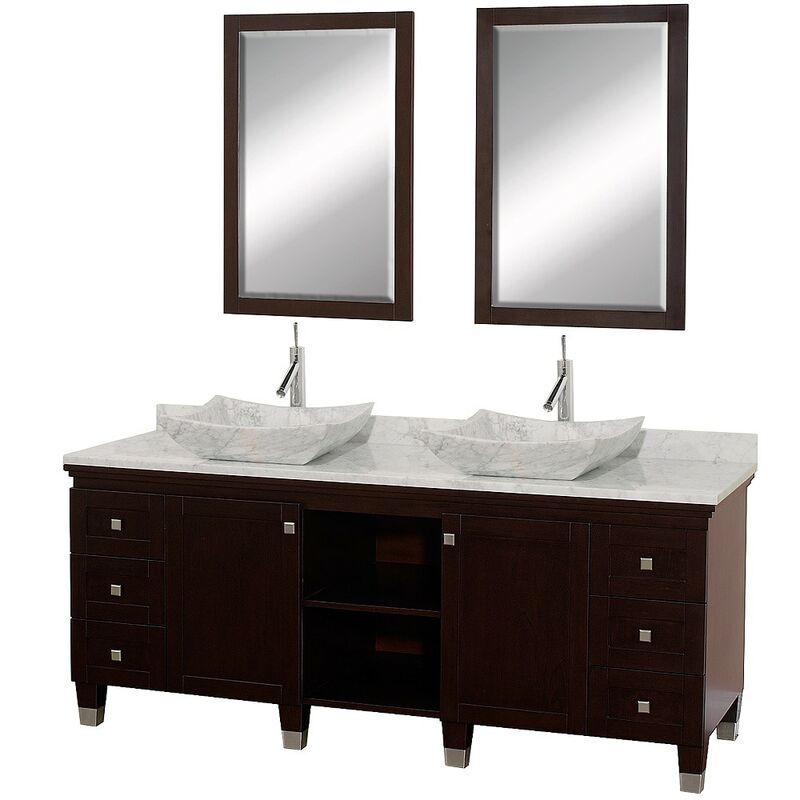 Dimensions - Vanity: 72" x 22.5" x 36"; Mirror: 24.25" x 1" x 36.25"